In 1976, EM reaches new harmonious heights. Klaus Schulze produces the enigmatic Moondawn, Ashra opens to new sound dimensions with the inescapable New Age on Earth, whereas Tangerine Dream seduces even more with the superb Statosfear. In France, Jean Michel Jarre works as a maniac on the same project for nearly 2 years. The Oxygene arrival is a shock wave in the very ethereal spheres of EM. More than a turning point in the music history Oxygene leaves its mark on an epoch. Beyond the clearness of its sonority and effects of a re invented and daring stereophony, Jarre multiplies long spacey movements to ambivalent rhythms on synth harmonies and melodies which take by storm radio waves and television stations which found a new crenel to promote the sci-fi or weather forecast TV shows. A timeless classical Oxygene, just as Équinoxe, quickly became a work of reference to test the precision and sound quality of hi-fi systems. Sold at more than 15 million albums or cd, Oxygene is the proof out of any doubt that there is place for an intelligent and well sequenced EM. Timidly the first Oxygen notes float in a spatial ambiance stuffed of cosmic sonorities. Sounds that Jarre have modeled according to his imagination and musical vision of an intersidereal cosmos. Oxygene I floats in an atmosphere as bewitching and mysterious that we feel in a state of weightless. We derive peacefully on suave synthetic pads which float in a space where strange sound effects lag around. Slow filaments of a synth both cosmic and spectral, such as one can imagine from a dark and cold land or planet, and a variety of sounds unknown until now that will become the source of Jarre originality. The ambiance is perfect. We are at doors of a cosmic wandering and we float this way until Oxygen II stars and its threatening chords which shape a galloping rhythmic on stars back. Cosmic sonorities emanate from everywhere whereas the tempo implodes towards a superb synth melody which furrows a cosmos illuminated of various spacey sonorities and percussions unique to Jean Michel Jarre style. Part 3 is astounding of depth with its is spectral synth ululating on chords which zigzag on percussions which toll for the dead. A brief spatial wind lights Oxygene 4, EM very first hit to hit radio stations. Who does not know this evolutionary rhythm on rebellious synth laments, always supported by the percussions that the French synthesist knew brilliantly how to exploit. One would say crickets which roll in resounding cylindrical drums. Oxygenate 4 is a hymn to beauty, a hymn to life where Jarre makes speak his synth as Hendrix did it with his guitar. A superb track which goes astray in mazes of the enigmatic part 5. A long track divided in two parts. The first is ambient and flows with a soft synth with sinuous layers as oniric as sad. Fine notes add a soft melodious dimension which melts on more grave ones. Notes heavy and resounding which awake Oxygene V with sequences that walk, collide and intersect under superb synth solos which are melting in a masterly stereophonic effect. Soft virtual waves introduce us to Oxygene 6, a light mélodieux track with the movement of an electronic samba, covered with sound effects more close to nature than a laconically cold cosmic. 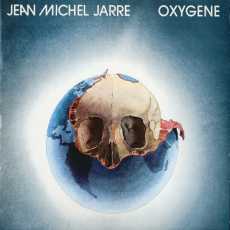 With Oxygen, Jean Michel Jarre revolutionized the EM art, by insufflating a harmonious, melodious and warm side. He uses synths in order to create both complex and melodious rhythms which hang easily the earring. An intense album that time does not manage to depreciate. A masterpiece and a work of reference in contemporary EM that is still charming 30 years later.